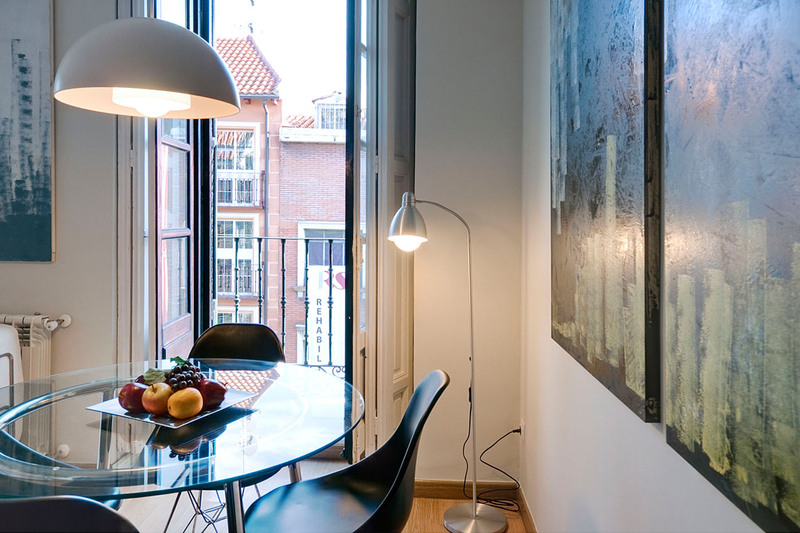 This month's Featured Apartment is the Latina Superior, in Madrid. It is one of our best and most favoured apartments in Madrid. The accommodation is located in the heart of La Latina, an area known for its variety of restaurants and bars. La Latina and Sol are the oldest areas in Madrid and hold lots of history, which is represented in the narrow and winding streets (following the path of the water). Nevertheless, the atmosphere nowadays is young and vibrant, since it is the artistic heart of Madrid. Only one kilometre away in the northeast, you can reach the Royal Palace, while going north you will find yourself in the Sol area and "zero kilometres". Further down, Gran Vía is famous for its typical buildings for Madrid and its shops, cinemas and theatres. To the east, the exotic Lavapies area is known for the multicultural neighbourhood, its plethora of restaurants and alternative shops, as well as museums and galleries. El Rastro: It is by far the most famous and popular flea market in Madrid, with around 3.500 sales positions. It is open every Sunday and on public holidays. Puerta de Toledo: This gate was designed by Antonio Aguado between 1813 and 1827, restored by the City of Madrid in 1995. It used to be the city gate. Plaza Mayor: This beautiful square is located behind Gran Vía. Besides the restaurants and cafés, you can admire the statues of Don Quixote and Sancho Panza. 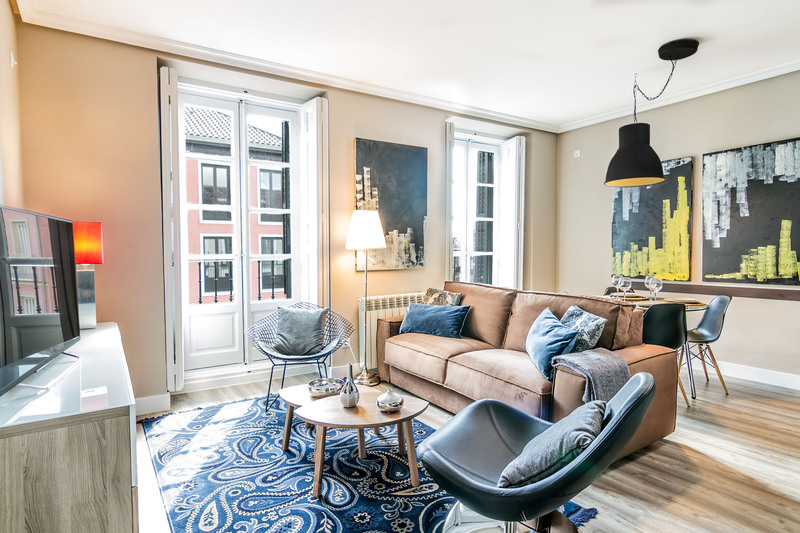 This holiday rental in Madrid features two bedrooms, two bathrooms, a fully-equipped kitchen, and a spacious sun-lit living rooms with two balconies. Recently renovated, the interior design is modern and cozy. "This apartment was PERFECTO! From check-in to check-out we found the experience with Habitat very easy. The apartment was in an excellent location and was a really comfortable space to retire to after long days of walking and exploring Madrid. It was well set-up for our 22 month old with a cot and high chair. Thank you for a wonderful experience in Madrid." "I stayed in Latina Black and Latina Superior with friends and we had a great stay here. The apartments are very comfortable, modern & have all the necessities to be able to enjoy a stay here. The apartment is spacious (well sized bedrooms, big bathroom). The area is walking distance to Plaza Mayor & near to typical bars/restaurants in the La Latina area (Cava Baja…). Highly recommended for a stay in Madrid!"